A U.S. Coast Guard vessel operating in international waters in the Arabian Gulf fired today on an Iranian dhow in what U.S. military officials described as a defensive move after the crew of the Iranian vessel trained a machine gun on the Americans with hostile intent. A statement issued by the U.S Fifth Fleet in Bahrain said the incident occurred as the Coast Guard was conducting a routine maritime security operation. 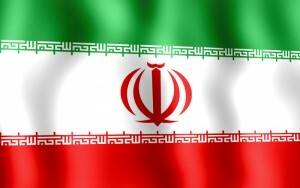 The American vessel fired a single shot at the dhow, but military officials said they did not know whether it hit the Iranian boat, which left the scene and did not communicate with the American crew. No U.S. personnel were reported injured. The inflatable Coast Guard boat had been dispatched from the USCG Patrol Boat Monomoy to query the Iranian dhow, a common approach in the Arabian Gulf intended to improve maritime security in the region. U.S. military rules of engagement state that unit commanders always have the inherent right and obligation to exercise unit self-defense in response to a hostile act or demonstrated hostile intent.